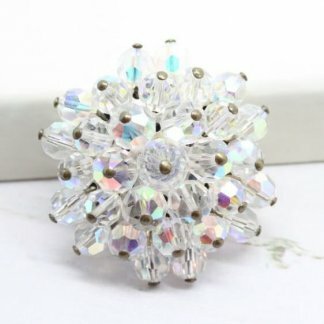 Description: Another personal favourite of mine, I just adore anything that sparkles with colour and looks very pretty. 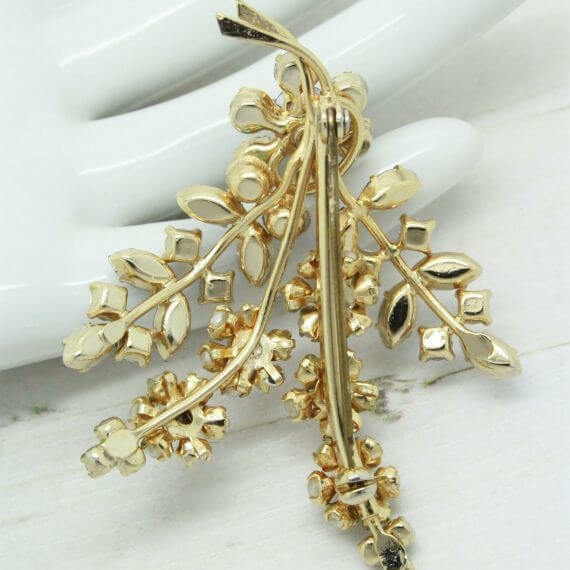 This 1950s rhinestone flower spray pin brooch is no exception, measuring 6.2cm at longest point. 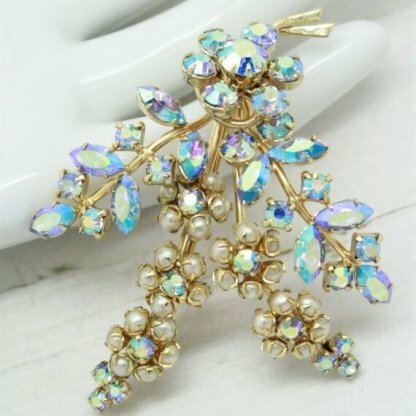 Featuring bright beautiful Aurora Borealis blue rhinestones and white pearl flowers. The main colour of the rhinestones are blue, however they sparkle with warm purples, pinks & amber. Make a statement with this glamourous pin, elegant and unique. 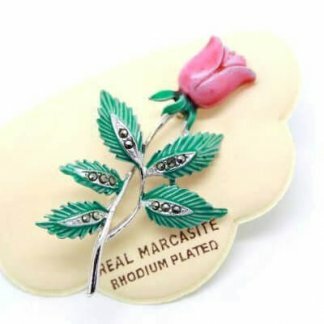 This brooch is in good condition, showing slight to no wear. It appears unworn and ‘new’. 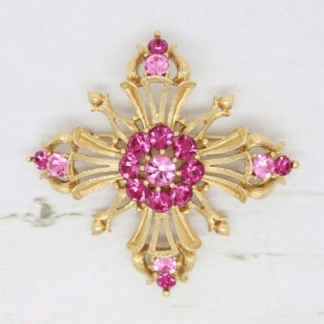 All stones perfect and bright, with a clean shiny gold plated setting.